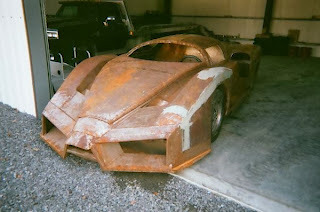 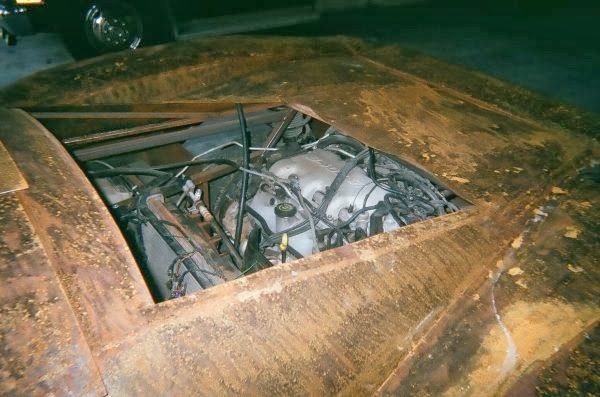 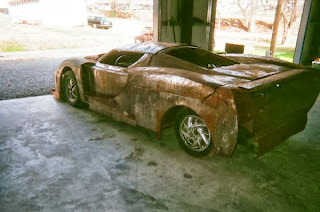 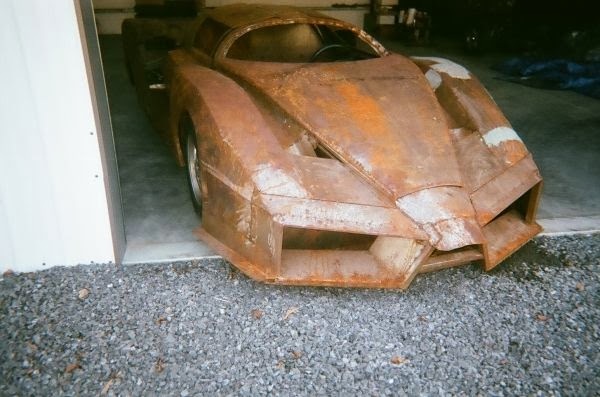 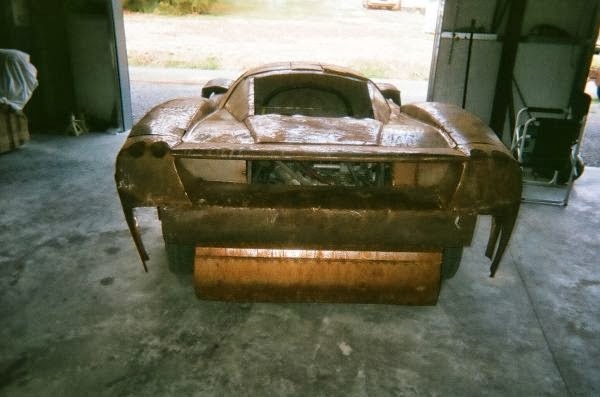 The following steel-bodied Ferrari Enzo based ‘work of art’ has recently been listed on Craigslist for a price of just $19,500 and apparently has had over 3,000 hours of fabrication gone into it. 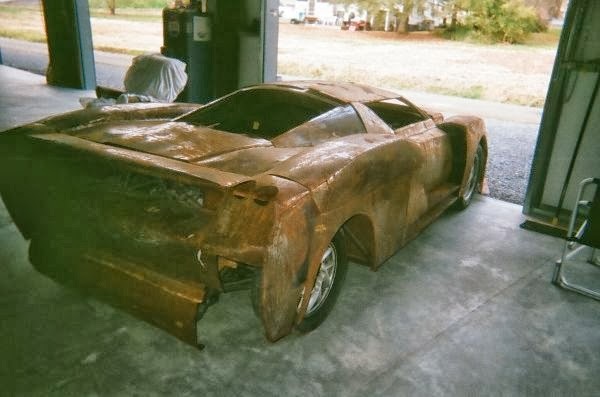 Despite so long being spent on this Ferrari Enzo replica, it’s still incomplete and features no interior, or even any suitable underpinnings as the tiny chassis and wheels seem to be lost under the mass of rusted steel. For some reason, the current owner though it’d be a good idea to fit a GM-sourced V6 engine into the car, an important feature that we would be extremely surprised with if it actually ran.